Pinball 1973 Now Reprinting | Yomuka! Japanese translations about crusty old games we all still love! 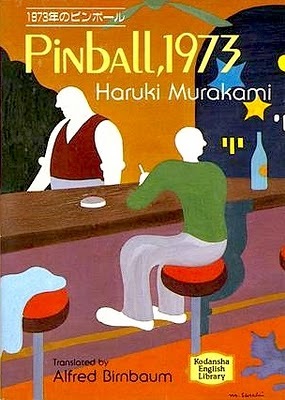 After many years of desperately tapping fingertips together and gazing lustily at the fabled English edition of the 1980 Murakami novel Pinball 1973, fans can now breathe a collective sigh of relief at the latest run of prints now being distributed in online stores across Japan. The book is starting to make its way onto eBay for prices averaging around $30-40 USD. You can actually order it directly from Amazon.co.jp (English is available), but even though the book itself costs 780 yen, overseas shipping is a whopping 3,000 yen, for a grand total around $40 USD. So your best bet for now might be just buying it off of eBay. What’s a haramaki, and why is Mario on it?